In light of the Treasury’s example ‘annual tax summaries’ and the implications in terms of welfare spending, academic and Policy Press author John Hills has shared some infographics with us to help us understand the difference between what we’re told and what the numbers actually show. Leading social policy expert, academic and Policy Press author John Hills’ new book Good Times, Bad Times: The welfare myth of them and us, publishes today. In his blog, first published on the LSE British Politics and Policy blog explains how the idea of a welfare-dependent underclass is wrong. Twenty-five years ago Granada television and my colleague in LSE’s social policy department, Julian Le Grand, came up with a novel way of presenting the effects of social policy. Instead of graphs, tables and talk, they used a TV game show between two families – the Ackroyds, from Salford in Greater Manchester, and the Osbornes, from Alderley Edge in Cheshire – to illustrate who got what out of the welfare state of the time. Which of these stereo-typical working-class and middle-class families were the true ‘Spongers’ of the show’s title, most ‘dependent on government’ in current formulations, if one could look over their whole lives? As it happens, the longer-living, university-educated, opera-loving middle-class Osbornes turned out to be the winners, getting more than the working-class Ackroyds. A follow-up programme which I helped with, Beat the Taxman, two years later looked at which family had done best as a share of income out of the tax reforms of the Thatcher years. Perhaps less surprisingly, the Osbornes won that one too. What was special about these families was that, in the words of the game show host Nicholas Parsons, “we’ve invented them”. A quarter of a century later I’ve gone back to those families and their (newly invented) children and grandchildren to explore key issues in the current debate about ‘welfare’ and the welfare state. 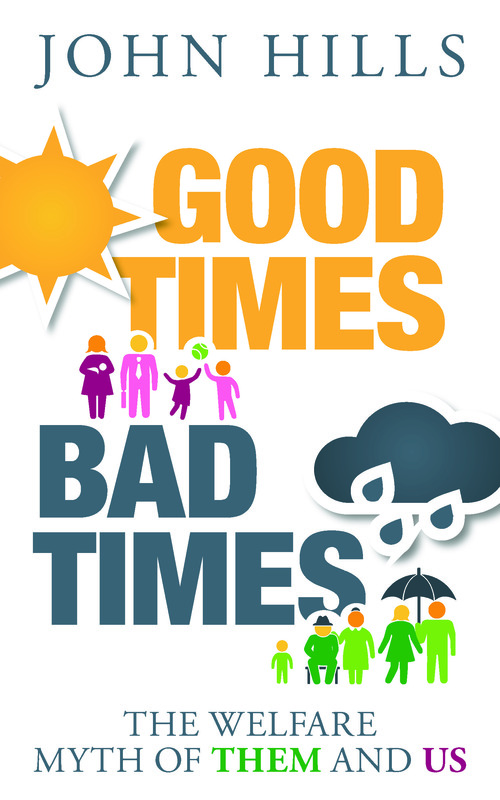 In my new book, Good Times, Bad Times: The welfare myth of them and us, I present the results of research over the last decade or more in LSE’s Centre for Analysis of Social Exclusion (CASE) and elsewhere using large datasets, the results of our own surveys, government statistics, and the results of computer simulations. But the continuing lives of the Osbornes and the Ackroyds may bring home some of its key points. There are Gary and Denise Ackroyd, whose incomes vary widely from month to month as his hours as a van driver change and her work in a school only brings in pay only in term-time – contrasting with the stable and predictable incomes of people like young civil servant Charlotte Osborne (and of many academics). Over the 2000s, the circumstances of the Osborne parents, Stephen and Henrietta changed a lot, particularly after Stephen’s heart attacks and decision to down-shift his accountancy work, but they still remained in the top 2 per cent of the income distribution. By contrast, the changes in the size of their family and the effects of Jim Ackroyd losing his job in 2006 meant that he and his wife Tracy bounced around the income distribution – close to being in the poorest tenth in two years, but just above the middle by the time they were empty nesters in 2010. The book also looks at the life chances of the newest grandchildren, George Ackroyd and Edward Osborne, born at the same time in July last year. If we knew nothing about them apart from where they were born, we would already expect Edward to live nearly four years longer. And although some of the educational gaps have closed in the last decade, the chances are that Edward will be doing better at school from the very start, leave with better qualifications, go to a better university, earn much more and build up a far higher level of wealth. There’s nothing predetermined about that, and George Ackroyd might buck the trend – it’s just that he starts with the odds against him. And looking at the recent past, the poorest of the families, lone mother Michelle Ackroyd, working 16 hours a week on a low wage, turns out to have lost 6 per cent of her income from tax credit and benefit cuts and austerity tax rises since May 2010. By contrast the most affluent of the families – Stephen Osborne with £97,000 per year earnings and his wife with £9,000 from her part-time teaching, plus significant investment income – have lost slightly less in weekly cash than Michelle, and only 0.7 per cent of their income. Twenty-five years on, more than ever, the debate around ‘welfare’ contrasts a stagnant group of people benefiting from it all, while the rest pay in and get nothing back – skivers against strivers; dishonest scroungers against honest taxpayers; families where three generations have never worked against hard-working families; people with their curtains still drawn mid-morning against alarm-clock Britain; ‘Benefits Street’ against the rest of the country; undeserving and deserving; them against us. We are always in work, pay our taxes and get nothing from the state. They are a welfare-dependent underclass, pay nothing to the taxman, and get everything from the state. But we don’t need made-up examples to know that arid picture of unchanging lives is wrong. We know from our own experiences, those of our families – and from TV soap operas and nearly every novel – that people’s lives and circumstances change, and what we get out and put in changes over our lives. It remains true that people starting advantaged remain much more likely than others to end up advantaged, and those who start poorer are more likely to end up poorer. But there is considerable variation and uncertainty around such average differences in life trajectories. This does not just include the long-term changes over the life cycle that we all go through, but also other variations and changes, from at one end the rapid variations many people experience in circumstances and need for support from week to week to, at the other end, the factors that affect the life chances of our children and our grandchildren. As a result of all this variation in circumstances over our lives, most of us get back something at least close to what we pay in over our lives towards the welfare state. When we pay in more than we get out, we are helping our parents, our children, ourselves at another time – and ourselves as we might have been, if life had not turned out quite so well for us. In that sense, we are all – or nearly all – in it together. 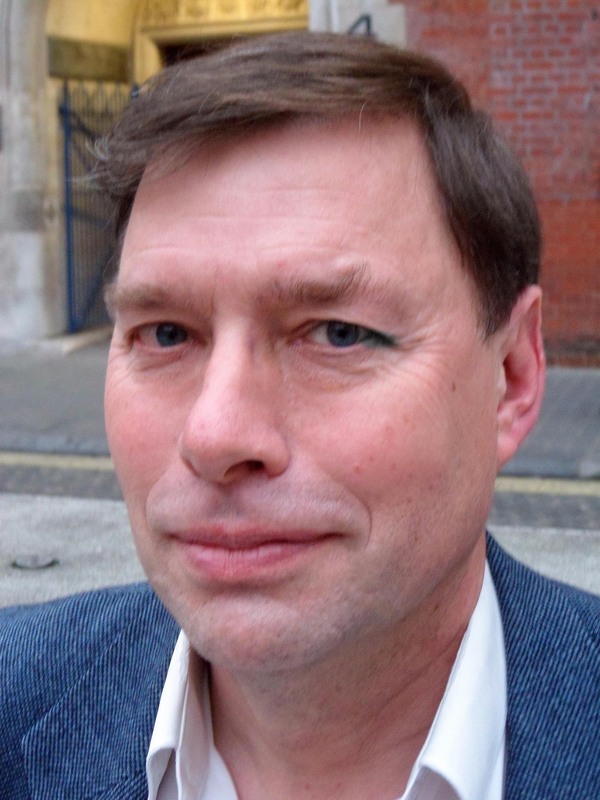 John Hills is Professor of Social Policy and Director of the Centre for Analysis of Social Exclusion (CASE) at the London School of Economics.